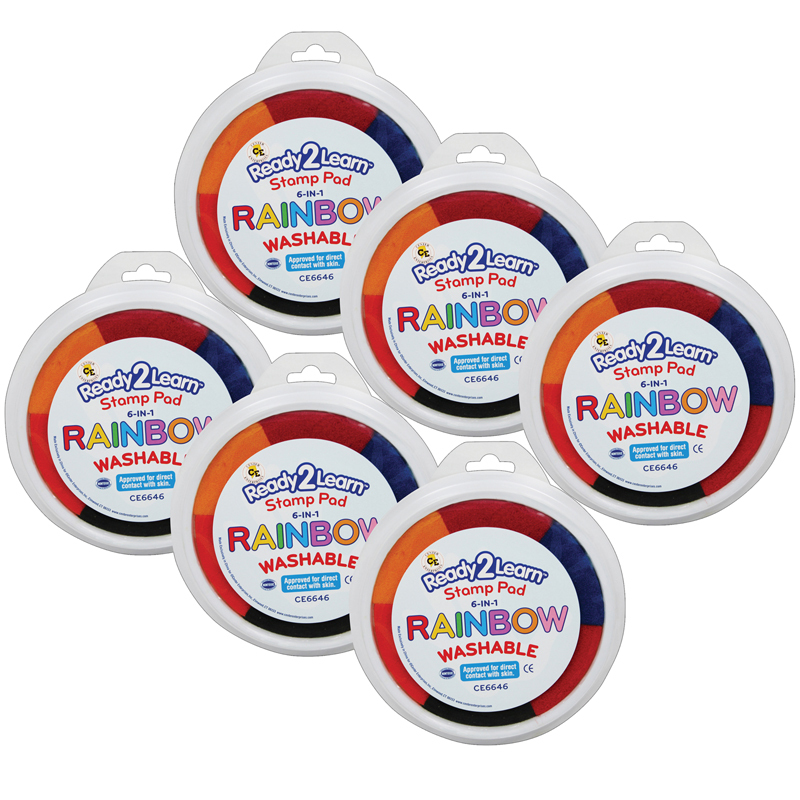 These Jumbo Rainbow Washable Paint/Ink Pads are perfect for kid-sized hand prints. Made with washable paint/ink, these pads are excellent for young children to use. Each pad measures 6" in diameter. 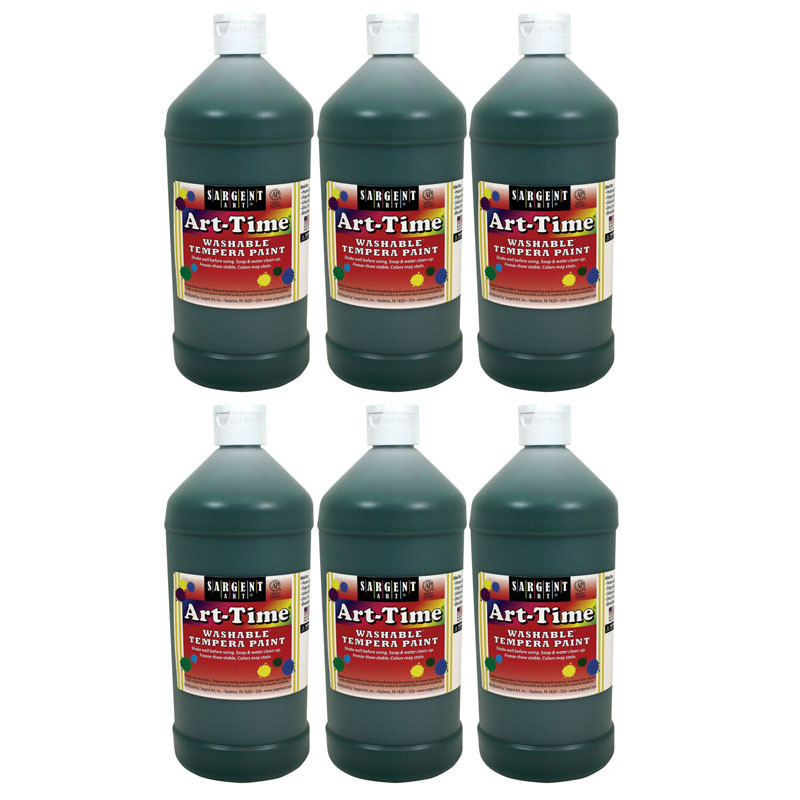 The non-toxic ink is acid free, dries quickly, and is ASTM D4236 certified. Each rainbow stamp pad contains red, orange, pink, yellow, green, and blue colors. Pack of 6 stamp pads. 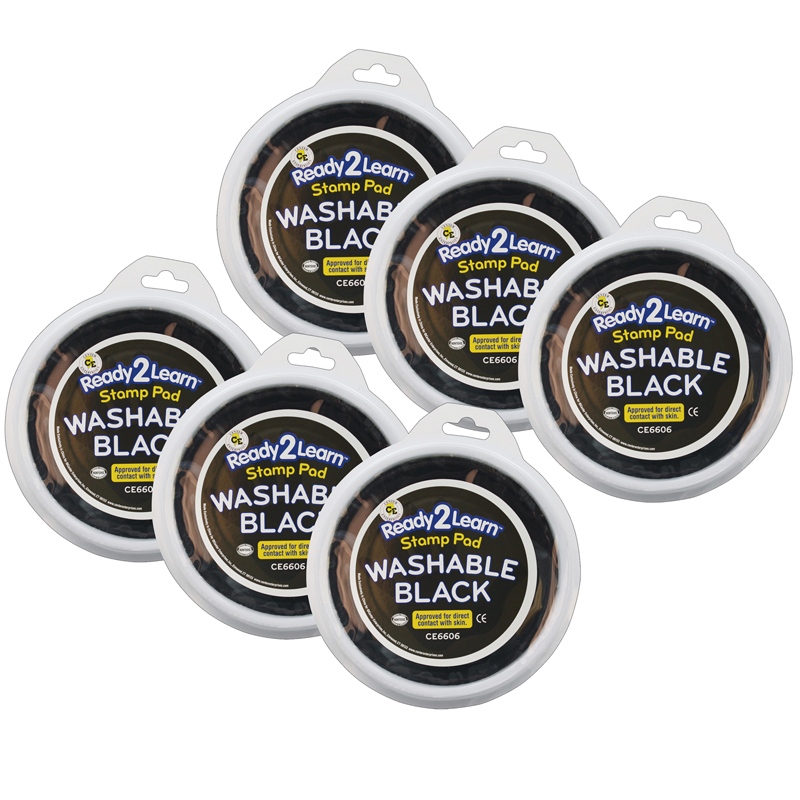 The (6 Ea) Jumbo Circular Washable Pads6-in-1 Yel Rd Org Blk Blu & Pnk can be found in our Paint product category within the Arts & Crafts.